What’s special about Premax Massage Lotion? Sometimes, it’s the simple things that give us the most pleasure, and our Massage Lotion is a simple yet awesome massage medium. For years, we were asked to offer a better pump pack alternative to sorbolene cream and oil. Both sorbolene and oil were never intended or formulated for soft tissue therapy. So, we did with this unique, unscented, high-glide, hygienic and skin friendly formula. It's now one of our most popular products. For the therapists, you’ll enjoy the high glide that this product offers, without the greasiness of oil or the beading and ripping out of hairs that you’ll get with sorbolene or moisturising cream. The pump pack application is easy to use in a clinical setting, and despite it being low resistance, our Massage Lotion will still allow you to vary your pressure and technique without losing tactility or control. Your manual skill will be enhanced using Premax Massage Lotion! For those who are being treated with Premax Massage Lotion, you probably won’t notice much. In a good way! Basically, the lotion has the feel of a quality moisturizing cream, but it just keeps going and going for the therapist. It wipes off clean after treatment, so you’ll feel fresh and moisturised. "I have been using Premax products for 6 years now. It's been refreshing to come from private practice where I chose to use the Premax massage range daily in my clinic and then working with Mitchelton Scott Cycling Team and having the full range at my finger tips. 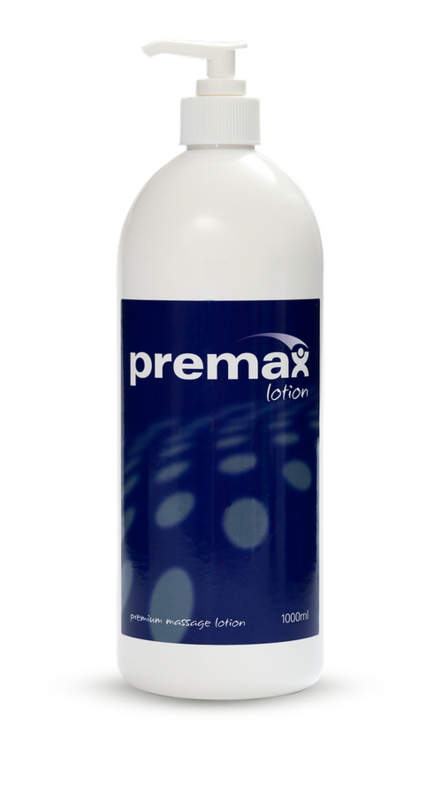 I particularly enjoy using Premax Massage Lotion in the large pump bottle which helps with our hygiene protocols. It's also a great product to reduce space especially when space is a premium when packing for a tour. The ingredients in all the products are second to none, as too is the consistency. 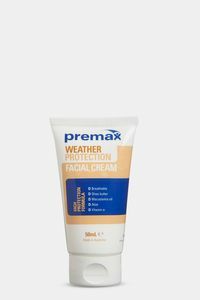 The Sports Sunscreen is a hit with the Women's Team, and also another home run is the Weather Protection Facial Cream (fantastic for anyone in the outdoors). 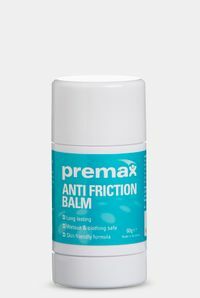 From a therapist's point of view all the Premax products are high quality and non irritating for my hands, which obviously is important as I come in contact daily with massage products. It's been fantastic to be introduced to the whole product range through Mitchelton Scott and have a knowledge of what each product does and its specific role. I have no hesitation in recommending the entire Premax range." How should you use Premax Massage Lotion? Premax Massage Lotion can be used with a variety of massage techniques and body regions. As the lotion has a low resistance, it’s an excellent product for large flushing strokes, and massage of body areas with hair. Two or three pumps from the bottle will be enough for an area such as the posterior thigh or lower back and gluteals. If you’d like a product with more traction, please consider our Essential Massage Cream and Arnica Massage Cream which have a medium resistance, or our Original Massage Cream which has a high resistance. What’s in Premax Massage Lotion? Premax Massage Lotion combines key ingredients Caprylic Capric Triglyceride - fractionated coconut oil, Glycerin – a skin restoring/replenishing ingredient that’s present in all natural fats, Dimethicone – a silky smooth but gentle silicone that helps gives the lotion it’s high glide and moisturising properties, and Shea Butter – to help nourish and restore the skin’s condition. I’m a huge fan of, and use the entire Premax range. The Massage Lotion in a pump bottle is perfect on the sidelines at the football. The Anti Friction Cream is really effective in preventing chafing under the arms with shoulder tape. In the clinic, the Essential Massage Cream with the butters and citrus oils is just beautiful. I love the smell and consistency. It’s all great! For years, I have spent over 200 days a year on the road with professional cycling teams. For the massage creams and lotions that I use, I need them to be reliable, portable, and of high quality. The cyclists won’t permit anything else! 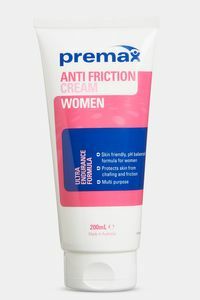 Premax Massage Lotion ticks all those boxes, and some more again. It’s high glide consistency, skin friendly properties, and non-greasiness are world class. It’s a fantastic product both for me and our athletes. I’m very proud that I was there at the beginning of the Premax journey with Randall, helping him a little to test and refine the first ever Premax creams. It’s now the go-to brand for sports skincare for athletes and elite sporting teams, and it’s great to watch this Aussie brand continue to develop both here and overseas.